This is a list of United States Secretaries of State by time in office. This is based on the difference between dates; if counted by number of calendar days all the figures would be one greater. 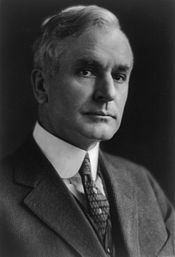 Cordell Hull is the only person to have served as Secretary of State for more than eight years. 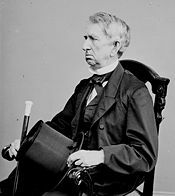 Daniel Webster and James G. Blaine are the only Secretaries of State to have ever served non-consecutive terms. 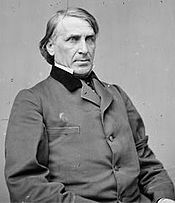 Elihu B. Washburne served as Secretary of State for less than two weeks before becoming Ambassador to France. As of April 2019, there are nine living former Secretaries of State (with all Secretaries that have served since 1997 still living), the oldest being George P. Shultz (served 1982–1989, born 1920). 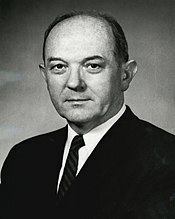 The most recent Secretary of State to die was Lawrence Eagleburger (served 1992–1993, born 1930), on June 4, 2011. The most recently serving Secretary of State to die was Warren Christopher (served 1993–1997, born 1925) on March 18, 2011. A As United States Secretary of Foreign Affairs until September 15, 1789 and United States Secretary of State until March 22, 1790, pending the return of Thomas Jefferson from France. B As Secretary of War. D As Secretary of the Navy. 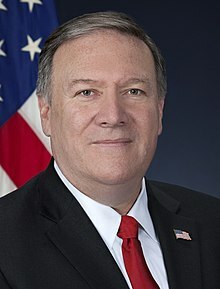 E In addition to the President listed, this Secretary of State served for a brief period of time (eight days or less) under that President's successor until a replacement could be named and confirmed. F As Chief Clerk of the State Department. G As Assistant Secretary of State. 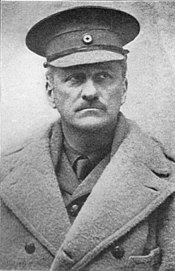 H As Second Assistant Secretary of State. I As Under Secretary of State. J As Deputy Under Secretary of State. K As Deputy Secretary of State. L As Under Secretary of State for Political Affairs. M Became President of the United States. N As Under Secretary of State for Economic Affairs. O As Under Secretary of State for International Security Affairs. ^ "Biographies of the Secretaries of State: Henry A. (Heinz Alfred) Kissinger (1923–)". U.S. Department of State - Office of the Historian. ^ "Biographies of the Secretaries of State: Cyrus Roberts Vance (1917–2002)". U.S. Department of State - Office of the Historian. ^ "Biographies of the Secretaries of State: Edmund Sixtus Muskie (1914–1996)". U.S. Department of State - Office of the Historian. ^ "Biographies of the Secretaries of State: Alexander Meigs Haig Jr. (1924–2010)". U.S. Department of State - Office of the Historian. ^ "Biographies of the Secretaries of State: George Pratt Shultz (1920–)". U.S. Department of State - Office of the Historian. ^ "Biographies of the Secretaries of State: James Addison Baker III (1930–)". U.S. Department of State - Office of the Historian. 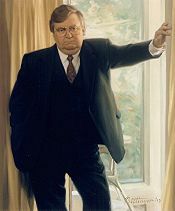 ^ "Biographies of the Secretaries of State: Lawrence Sidney Eagleburger (1930–2011)". U.S. Department of State - Office of the Historian. Served as Acting Secretary of State, Aug 23-Dec 8, 1992. ^ "Biographies of the Secretaries of State: Lawrence Sidney Eagleburger (1930–2011)". U.S. Department of State - Office of the Historian. ^ a b and, Thomas L. Friedman. "Clinton Rounds Out State Dept. Team". nytimes.com. Retrieved 14 March 2018. ^ "Biographies of the Secretaries of State: Warren Minor Christopher (1925–2011)". U.S. Department of State - Office of the Historian. ^ "Biographies of the Secretaries of State: Madeleine Korbel Albright (1937–)". U.S. Department of State - Office of the Historian. ^ "Biographies of the Secretaries of State: Colin Luther Powell (1937–)". U.S. Department of State - Office of the Historian. ^ "Biographies of the Secretaries of State: Condoleezza Rice (1954–)". U.S. Department of State - Office of the Historian. ^ "Biographies of the Secretaries of State: Condoleezza Rice (1954–)". U.S. Department of State - Office of the Historian. Under Secretary for Political Affairs William J. Burns served as Acting Secretary of State, January 20-21, 2009. ^ "Biographies of the Secretaries of State: Hillary Rodham Clinton (1947–)". U.S. Department of State - Office of the Historian. ^ "John Forbes Kerry (1943–)". U.S. Department of State - Office of the Historian. ^ Herman, Steve. "Career Diplomat Becomes Acting Secretary of State with Trump Inauguration". voanews.com. Retrieved 14 March 2018. ^ News, ABC. "ABC News". ABC News. Retrieved 14 March 2018. ^ "Under Secretary of State Shannon meets Tillerson: U.S. official". 19 January 2017. Retrieved 14 March 2018 – via Reuters. Graebner, Norman A., ed. An Uncertain Tradition: American Secretaries of State in the Twentieth Century (1961) scholarly essays on John Hay through John Foster Dulles.